Sky News on its twitter account @skynews releases the frontpage of British newspapers daily. 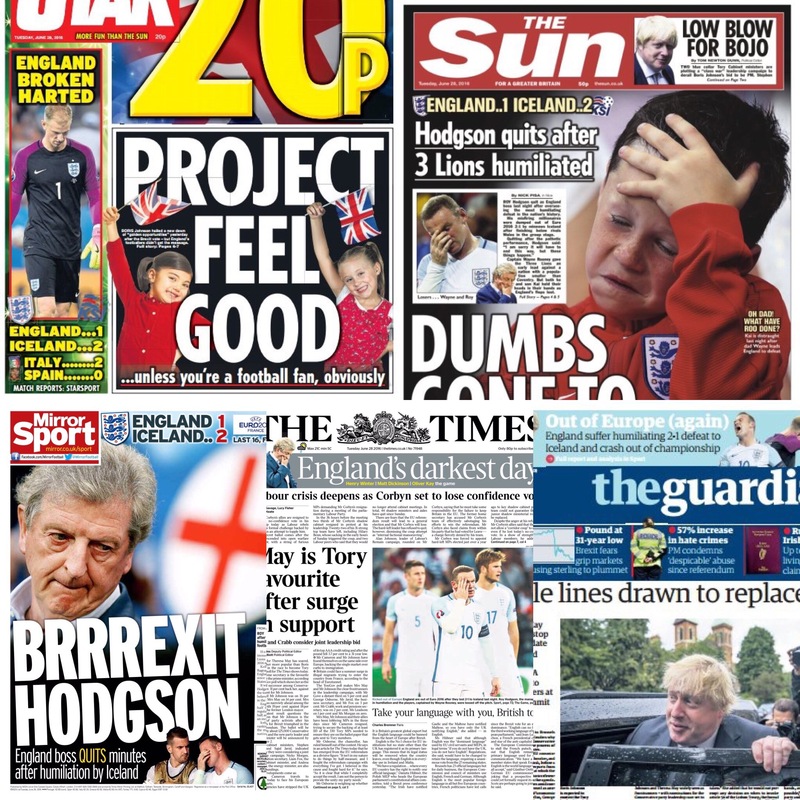 When I scrolled on my twitter feed, I found it interesting particularly how the newspapers express their editorial on England football team. England defeated by Iceland 2-1 in Nice, France in qualification of Euro 2016. The media and the social media was humiliating England team after the final score. Generally people thought that England could have been won the match regarding its players and its brand as “the home of football” or the home of English Premiere League, “the most prestigious football league on earth”. In fact, Iceland, a small nation with 300 inhabitans showed their class and determination. It has been unbeaten in each game in Euro 2016. However, history shown that Iceland had defeated England since the 9th century. Friend of mine was showing the article he found on Wikipedia about The Vikings that invade British land at that time. Some social media users even relating this with EU referendum result by saying “This is the second #Brexit for England”. And there it gows. The darkest day for England.